The University of North Georgia Press is pleased to announce the release of our latest Open Education Resource: Accounting I by Dr. Christine Jonick, out April 30, 2018. 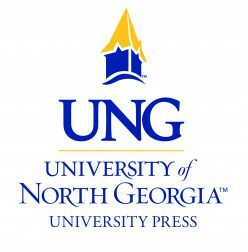 As the University Press Partner for Affordable Learning Georgia, UNG Press is publishing this textbook as one of six Open Education Resources releasing this year. Well-written and straightforward, Accounting I is an asset to the business education world. This textbook developed from Dr. Jonick’s years of teaching and commitment to effective pedagogy. She wrote this textbook in order to directly meet the needs of her students. Peer reviewed by academic professionals and tested by students, this textbook is a needed contribution to open source pedagogy. It has over 100 charts and graphs, instructional exercises appearing both in-text and for Excel, and resources for student professional development. As an Open Education Resource, this textbook is completely open access. It can be reused, remixed, and reedited freely without seeking permission.